Product prices and availability are accurate as of 2019-04-11 04:53:06 EDT and are subject to change. Any price and availability information displayed on http://www.amazon.com/ at the time of purchase will apply to the purchase of this product. This book is appropriate for courses in First-Year Experience, College Success, and Study Skills. 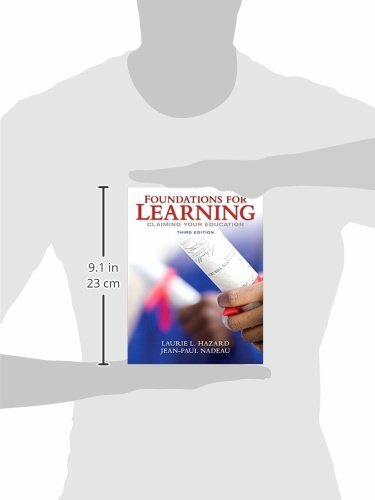 The focus of Foundations for Learning is on academic adjustment with personal development issues seamlessly integrated into the academic emphasis theme of 'claiming an education' and taking responsibility for one's own education. 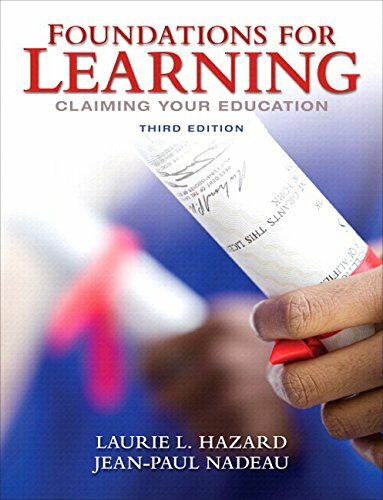 Foundations for Learning addresses both the attitudinal variables and personality traits that affect college achievement like locus of control, conceptions of intelligence, and intellectual curiosity in relation to specific study-related behaviors such as text annotation and active listening. At its core, this text is based on the psychology of adjustment. Students are pushed to consider how each mindset, perception, and attitude connects with their skill sets, and how one influences the other. The text encourages students to use this insight to make the necessary adjustments to their new role as college students. It offers an acute awareness of first-year student needs, an intellectual approach, and a tight framework. It is primarily focused on the development of academic adjustment issues and meta-cognitive strategies as they naturally unfold during the first semester, as opposed to primarily focusing on social adjustment issues or issues that aren’t immediately relevant such as career development and is written in a challenging yet accessible way. This revision covers emerging technologies, broadens its audience, and more.